The past couple of weeks have been amazing. 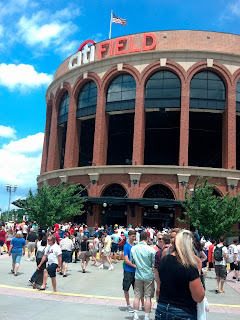 I missed my bloggy friends....all 2000 of the posts I didn't get to while on the East Coast. My friend Jenny found a fairy door while I was gone....so jealous. She is also having ginormous giveaway you should check out. 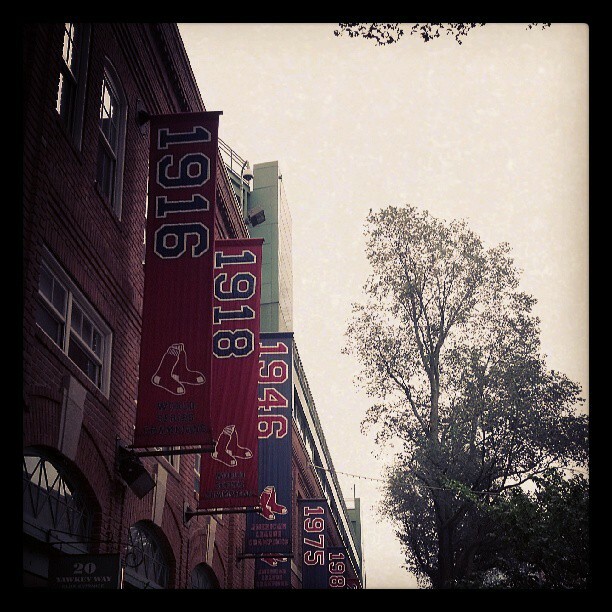 The next day was Boston. 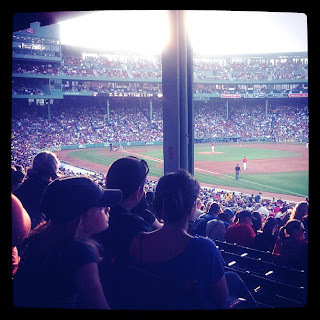 We toured Fenway, saw the Red Sox win later that night. Went on the freedom trail and experienced all kinds of history! The actual game was nuts! My dad and I tried to keep score but people get up and down constantly so that was kind of tricky. The stadium hums...I don't know how else to describe it. It isn't loud, unless something exciting happens, but the whole game it is like a current of humming. And the choral singing of Sweet Caroline was a highlight of the whole trip! 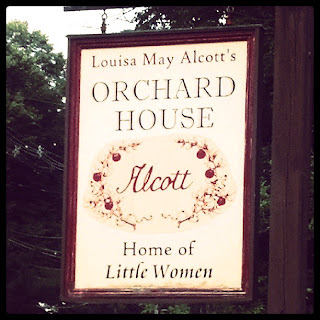 We went to Concord and saw Lousia May Alcott's house. 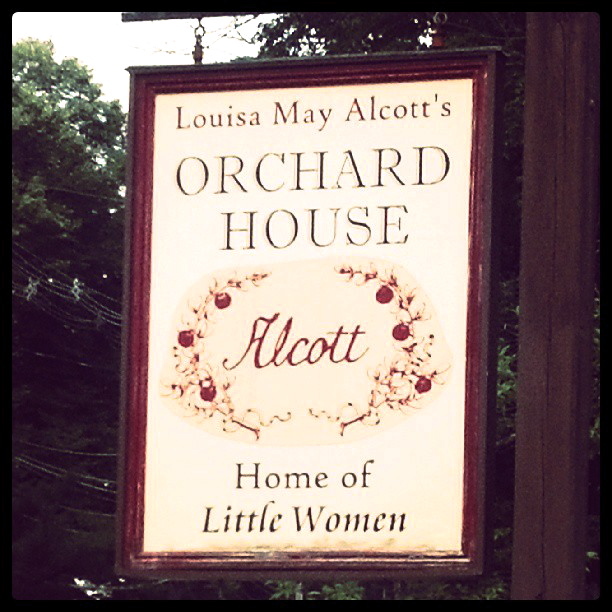 I have such great memories from Little Women. Very neat stop! Then we went to Valley Forge...so much history there. I need to reread some Ann Rinaldi for some history review. We did a speed tour of Valley Forge and really needed a lot more time! Also I apparently only took one picture while there. From the Rhode Island detour...I think this is the Capitol. Beautiful state! I need to return and do some exploring there. Then onto Philadelphia (with a quick detour in Rhode Island to say we had been there) We were only here for a few hours. 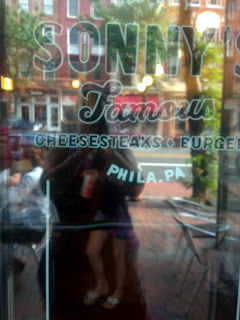 Just time for the Liberty Bell and a cheesesteak. And finally back in New York. World Trade Center Memorial-I so expected this to be somber and silent....like Pearl Harbor. It wasn't, people everywhere like they were at just another tourist spot. However the memorial was very interesting to see and the museum will showcase even more from the tragic day. Metropolitan Museum of Art...so cool since recently reading From the Mixed Up Files of Mrs. Basil E. Frankweiler. 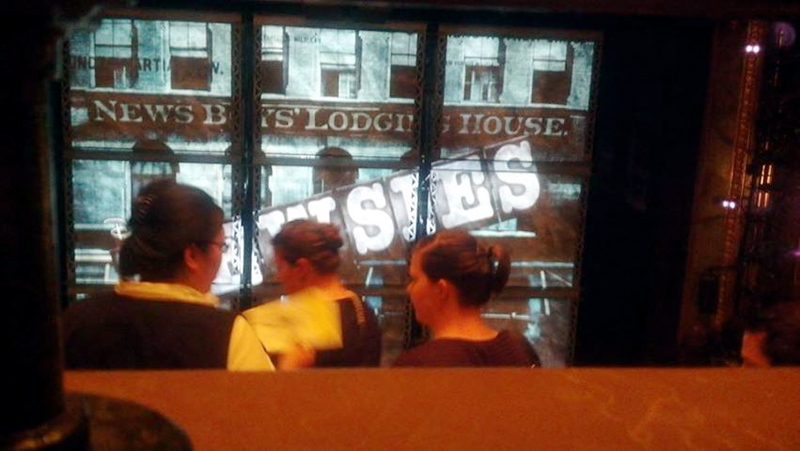 Finally saw Newsies! It was amazing as I hoped it would be. Live theater has always been one of my favorite things...it is even better when it is attached to a movie watched so many times the VHS tape quit working. 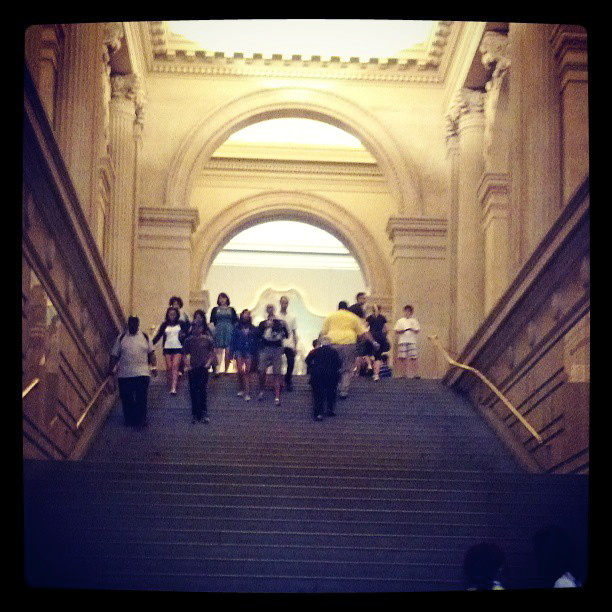 The New York Public Library was probably one of my favorite New York sites. And the current exhibit was all about children's literature. #booknerd Every library needs lions and gold drinking fountains. Honus Wagner's SUPER RARE baseball card was on display. Of course Mo was part of the show! 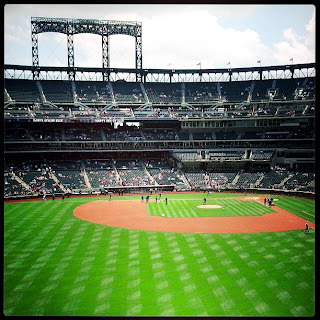 We went to a Mets game on the 4th and avoided the fireworks crowds. I so enjoyed your pictures! :) I felt like I was right there with you. Fun trip! I found your blog on the Oregon blog link-up and am glad I found it! I am also an Oregon blogger, but am VERY new to blogging :) Maybe next year I'll be able to join your Oregon blogger meet-up!! I just got back from the East Coast and went to many of the same places you did! Maybe we even crossed paths! I have some pictures on my blog, but your post is much better done than mine! Wasn't the Fenway Park tour interesting? What an amazing trip! 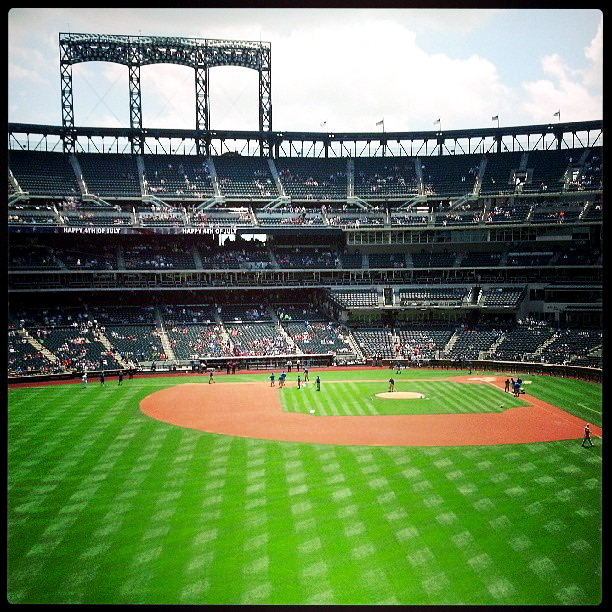 I would love to go to New York some day. Boston is one of my favorite places ever and I LOVED the Freedom Trail. I loved Valley Forge...Lots of birds! I'm in the middle of an Ann Rinaldi book right now. I love her historic fiction. I sure missed you while you were gone, but glad you had such a great time with your dad. Sorry for the overuse of the word love!! What a great trip! I am a little jealous of the Newsies trip! I love that movie and sing along at the top of my lungs when I watch it! Loved the library and all the odes to children's books. 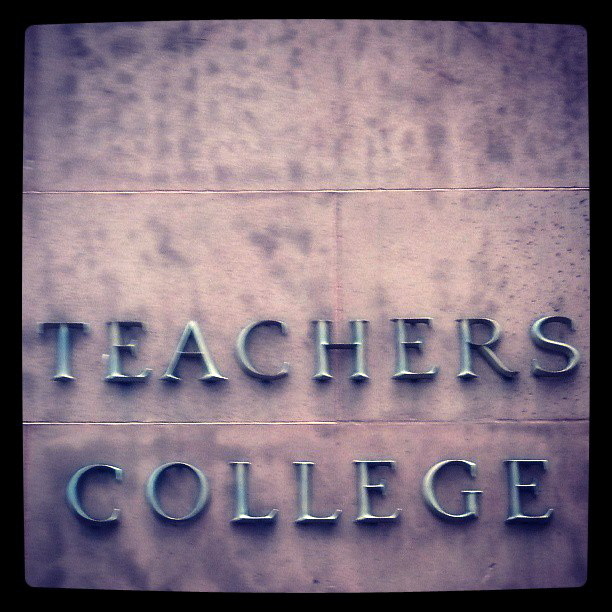 I want to go there! Ahh sweet! I'm so glad you had a great time and got to see so many meaningful things and places. How fun! Hey you were in my neck of the woods! I live in Maine, but I'm from NYC and I lived in Boston for a long time. What a fantastic trip you had and I love the photos so much. Ann Rinaldi is a big favorite of mine. I need to reread some of those too. I'm embarrassed to say that I don't even know Newsies! Off to research. What a wonderful trip! I know you had a great time! Enjoyed the pictures!